How to choose the best one for the job. 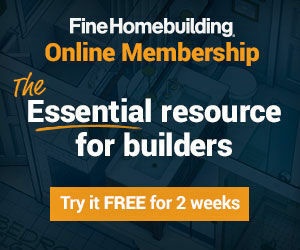 Synopsis: For a great deal of bathroom work (as well as certain jobs elsewhere in a house), tile is a key building component, and that frequently means needing to cut tile to fit in specific spots. A tile saw is a necessity for these kinds of projects. 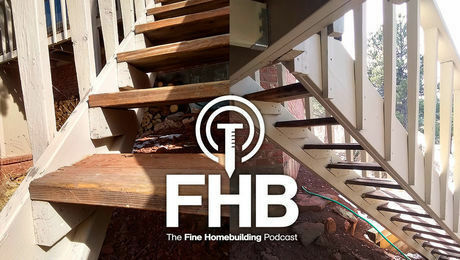 Veteran tile-setter Tom Meehan has had plenty of opportunity to work with tile saws, and he shares his insights in this article. 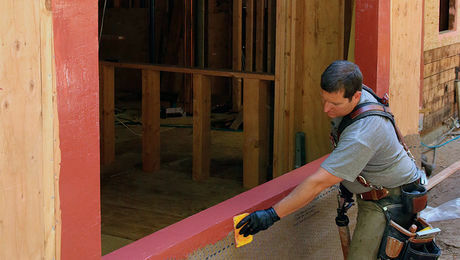 Meehan covers topics including score-and-snap tile cutters, diamond blades, kitchen backsplashes, holes for electrical outlets, tile wainscot, curves, indoor vs. outdoor use of tile saws, and techniques for cutting small tiles. 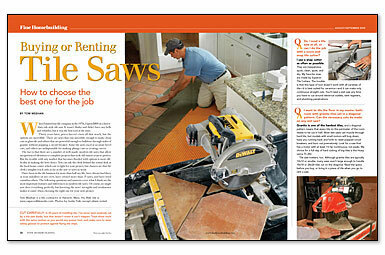 This article includes a sidebar on Meehan’s two favorite tile-saw models. 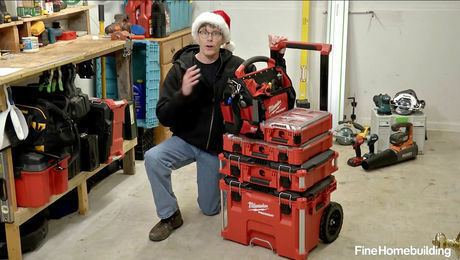 Magazine extra: Read Tom Meehan’s first impressions of Ridgid’s newest tile saw. Also, you can learn more about Ditra, the tile underlayment Meehan uses in the project featured in his article by watching our video demo. 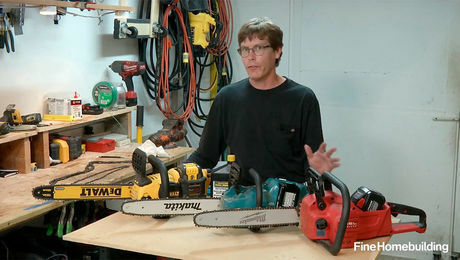 Three different brands of battery-powered saws are put to the test. This 16-5/16-in. 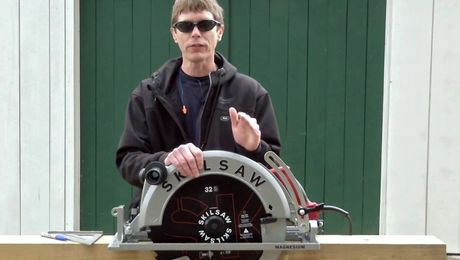 beam saw can cut a 6x6 in a single pass. 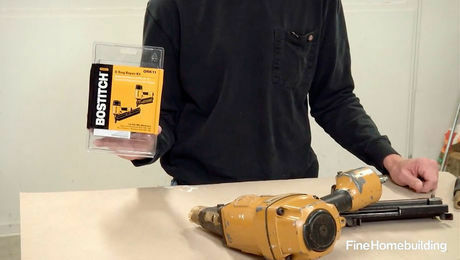 How to break down plywood and other sheet goods ­efficiently, ­accurately, and without a tablesaw.